Contemporary glass and lace creations. Marie-Thérèse Bonniol uses the bobbin lace technique. She plays with matter and textures, she experiments with different materials such as: metal thread, twine, cord, and horsehair. 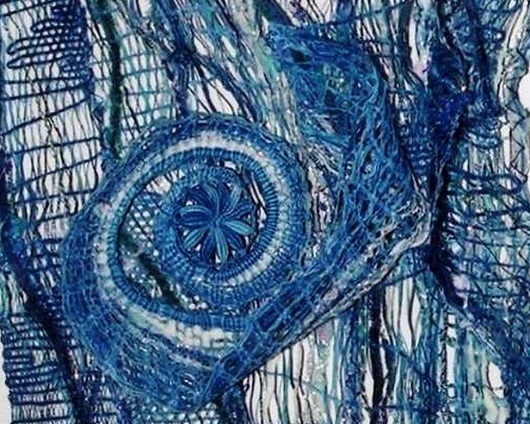 She deforms and deconstructs traditional lace work to create three-dimensional objects. “Children’s painting-on-silk workshop” throughout the whole day. Thermofixable silk paint on crumpled silk. Workshop fee 5€ for children aged 5 and up. 17:00 : Fashion show presenting creations from our boutique’s craftsmen followed by some refreshments.